In Telemachus Mulligan dons "his primrose waistcoat," and in Proteus Stephen thinks of his companion metonymically as a "primrose doublet." The color of the vest, a light yellow, coheres with Mulligan's sartorial choice of a dressinggown, and it may symbolically reinforce Stephen's judgment of him as a "heretic" who would deny the serious value of Stephen's art. What Americans call the "vest" in a three-piece suit, Britons typically call a “waistcoat.” Edwardian gentlemen wore waistcoats with five or more buttons that closed high up on the chest, the fabric either matching that of the coat or contrasting with it. 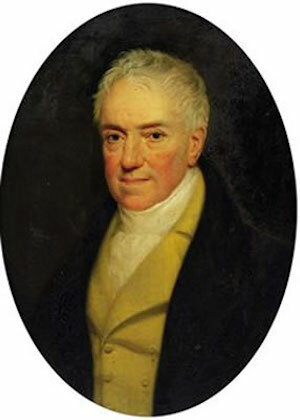 The color of Mulligan’s garment marks him as a bit of a dandy, and as someone who is comfortable with elegant British customs: pale yellow waistcoats have been fashionable in England since the eighteenth century. Stephen's term "doublet" reflects his interest in the earlier Elizabethan period, when gentlemen wore short, tight-fitting padded jackets, either with or without sleeves. Much as Stephen thinks of Buck as a doublet, the narrative often tracks his progress through the day in terms of the appearances of this colorful vest. Mulligan shows up in Scylla and Charybdis thus: "Primrosevested he greeted gaily with his doffed Panama as with a bauble." Dining with Haines in the D.B.C. in Wandering Rocks, "Buck Mulligan's primrose waistcoat shook gaily to his laughter." In Oxen of the Sun he is "the young blood in the primrose vest," and later in that chapter "the figure of Bannon in explorer's kit of tweed shorts and salted cowhide brogues contrasted sharply with the primrose elegance and townbred manners of Malachi Roland St John Mulligan." The gay clothes of the Buck, then, define him just as sharply as the somber clothes of Stephen and Bloom define them. Oil portrait of General Peter Heron (1770-1849) of Moor Hall, Cheshire, by Thomas Kirkby. Source: www.askart.com. 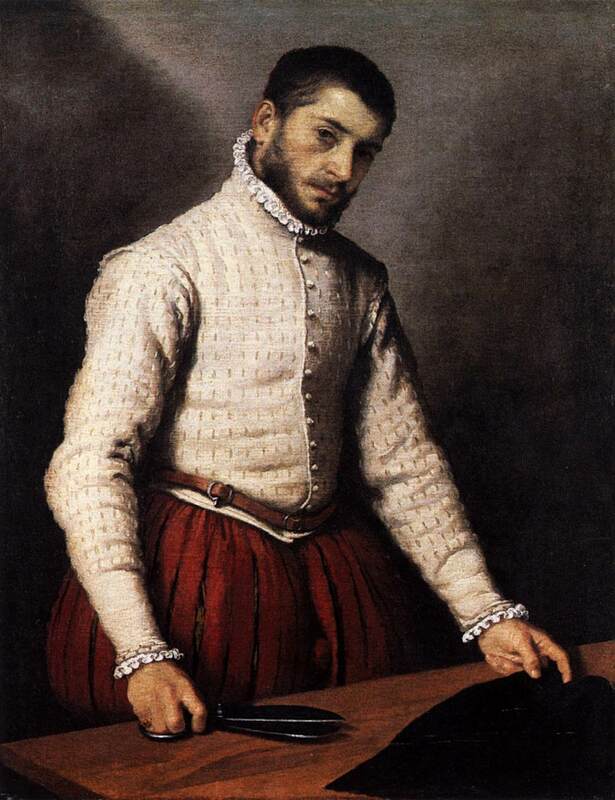 Tailor wearing a doublet with sleeves, in an oil portrait by Giovanni Battista Moroni, ca. 1570. Source: Wikimedia Commons.